With the support of AMM Archivio Memorie Migranti (Rome) and Viaggi Solidali (Turin) we are going to screen four short movies directed and filmed by migrants now living in Italy and collected by the Archivo Memorie Migranti. Director Zakaria Mohamed Ali will be in Malta in order to present his films to the audience together with Gianluca Gatta, anthropologist and co-funder of the AMM. Zakaria, a young Somali journalist, landed in Lampedusa as an asylum seeker in 2008. He remembers the island as a place of exclusion rather than arrival. Four years later he returns to Lampedusa as a free man, recalling his stay in the detention camp and searching for lost memories. Dagmawi landed on Lampedusa in 2006 after three days at sea in a small makeshift boat. He met no-one during the seven days he was to spend confined in a former reception center near the airport, and beyond the wire fence he could see only the coming and going of tourist planes. A few years later he returns to Lampedusa to film the island, speak with its inhabitants and move around freely. 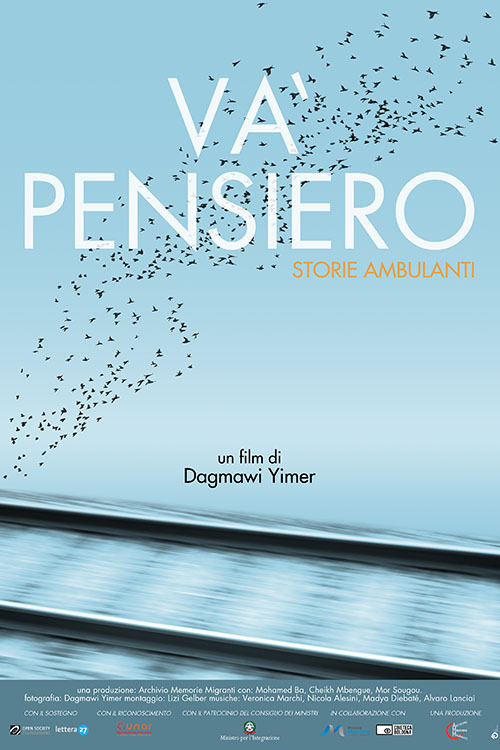 Filmed in 2010, the film proposes a combined view of two realities which rarely enter into the dialogue on Lampedusa: that of a migrant and that of the Lampedusans. In this episode taken from ‘Benvenuti in Italia’ (Welcome to Italy) we follow the dreams of glory of Dadir, a well known soccer champion in Somalia who today is travelling without a ticket from Milan to Rome to play with the Somalian national team of Rome. An intertwined story about two racially-motivated aggressions in Milan and Florence by the victims, eventually engaged in the difficult reconstruction of the fragments of their lives. Dagmawi Yimer landed in Italy on July 30th 2006, where he obtained the status of “humanitarian protection”. In 2007 he attended a course in partecipatory video, which ended with the production of the documentary Il deserto e il mare (2007). In 2008, together with Andrea Segre and Riccardo Biadene, he made the documentary film Come un uomo sulla terra and in 2010 the documentary C.a.r.a. Italia. He has made a number of shorts (Sagome, Lo scarabocchio, L’albero, Equilibiro) for the progetto Archivio delle memorie migranti, promoted by the Asinitas association. His latest films are Soltanto il mare and Va’ pensiero. Zakaria Mohamed Ali (1986) is a Somalian photo-reporter. He has lived in exile in Italy since 2008. He was forced to flee Somalia in 2007 following violence and death threats. He arrived in Italy via the Mediterranean island of Lampedusa. 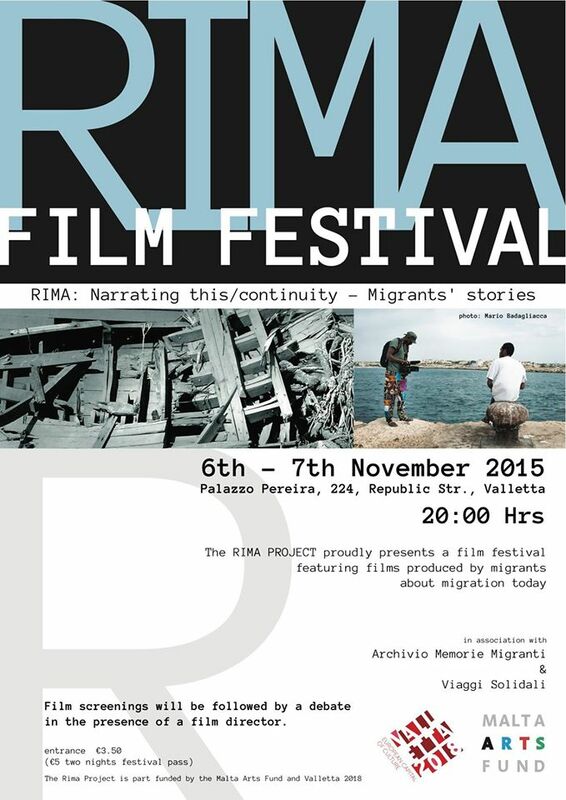 Since 2011 he is member of Archivio Memorie Migranti, and is one among the directors of the movie “Welcome to Italy”. In 2012, he shot “To whom it may concern” a short movie about his searching for lost memories in Lampedusa. Gianluca Gatta lectures Anthropology of Development at University of Naples “L’Orientale”. He’s co-founder of the AMM – Archive of Migrant Memories in Rome. His work deals with anthropology of migration, body, interethnic relations and migrant memories. He’s the author of “Migranti a Lampedusa: da esuli a clandestini” (in «Parolechiave», 41, 2009), “Clandestinità e luoghi terzi. Legittimazione, sicurezza, soggettività” (in «Rassegna Italiana di Sociologia», 1, 2011), “Luoghi migranti. Tra clandestinità e spazi pubblici” (Pellegrini, Cosenza, 2012). Thanks to David Pisani for the poster.